Here’s a simple, nutritious yet delicious snack. Have a shallow bowl of warm water ready. Dip the rice paper into it for a few seconds to soften it. Remove to a clean work surface and wipe off excess moisture with a clean kitchen towel. Place a little of each filling ingredients on the rice paper. 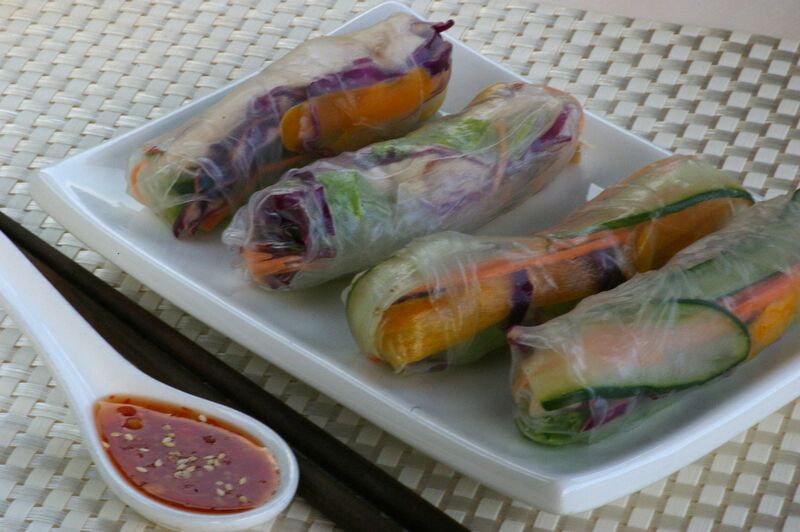 Fold over and roll up like a spring roll to enclose the filling. Where can I get rice paper wrappers? Thanks.